If you have a loved one with autism, you know how important predictability and routines are. All of that goes out the window when you have to pack up your house and move. Whether it’s around the corner or to a new country, relocating can be especially difficult for a family member who is on the autism spectrum. Although you can’t eliminate all anxiety a move may cause, you can do many things to make the process easier on your loved ones and yourself. Since autism affects an estimated 1 in 59 children, you are not alone in your desire to find information that can make home relocation easier. The need to keep your child or family member on the autism spectrum on a routine remains just as important — possibly even more so — when you move from one home to another. Fortunately, a wealth of resources are designed with families like yours in mind. This guide highlights ways to plan and execute the transition to your new home. Do not be surprised if your family member does not immediately jump on board with the idea of the move. Those with autism like routine and familiarity, and a move upsets those things. Therefore, it is important for you to explain positive changes the move will bring. The National Autism Society suggests pointing out benefits of the move, such as bigger bedrooms, bigger yards to play in, or closer proximity to places your child likes to visit. When discussing the upcoming move, take the time to describe the new places your child will enjoy. Tell your child about nearby parks and libraries that he or she will be able to visit frequently. Look for other places in your new location that you know your child will be excited to visit. Those on the autism spectrum also greatly benefit from a visual schedule of the moving process. Parents magazine suggests, “Make a visual schedule of the moving process. Images that represent cleaning out, packing boxes, a moving truck, a drive and hotel stay, and unpacking will help give meaning to the word ‘moving.’ ” Mark your family calendar or your child’s personal calendar clearly with notations for the impending move. Next, if possible, visit the new home. Give your child the opportunity to see his or her new home before moving day. Allow your child to go inside the house and explore the surrounding area. If you are moving a great distance, take advantage of online tools such as Google Earth or videos of the home used by realtors to show your child his or her new home. Depending on the age of your loved one, you may have to explain what moves and what stays. The Center for Autism Research explains, “Similar to a very young child, a child with ASD may need to be told about what is actually moving with the family to the new house and what is staying behind. For example, the child’s bed and toys are going to be in the new house, but the bathtub is staying.” They suggest having children put stickers on items that want to move with them. If your child places a sticker on an item that stays, such as the toilet, it gives you the chance to explain why this item will not be moving with you. Next, you need to cover the basics. For example, begin teaching your child his or her new address. You should also send records to the new school and doctors well in advance. In the busyness of the move, do not let these things fall to the side. Having important documents secured and prepared for the transfer is critical. Finally, you can prepare your family member with autism for the big transition by reading books about moving. Reading children’s books together is a great way to help young people understand the moving process, with their simple explanations and illustrations. See Great Schools’ 7 Great Children’s Books About Moving and Scholastic Parents’ Planning a Move? Help Your Kids Get Settled with These Stories About Moving. Social stories are a technique created by Carol Gray in 1991 to “help autistic people develop greater social understanding and stay safe” by providing “short descriptions of a particular situation, event or activity, [with] specific information about what to expect in that situation and why.” Given the upheaval a move can cause for your loved one with autism, using social stories is an effective way to prepare your child for the move. Introduce a social story approximately four weeks before the move. Help your loved one picture the new location by showing photos of the home, their room, the neighborhood, their school. Include pictures of the moving truck. Include pictures of the packing boxes. Consider adding in a new home layout. Show pictures that illustrate the busyness of moving day so your child can expect the chaos and mess of unpacking. Conclude the social story with photos of the new community. When the time comes to start packing up the house, it is a good idea to get your child on the autism spectrum involved in the process. How much involvement your child can handle is largely determined by age. Allowing your child to sort items and label boxes will give him or her a sense of control that is sorely needed to help ease anxiety during a time when the routine is in upheaval. Allow your child to decorate packing boxes with pictures of what’s inside or what room they’ll go in. Similar to using stickers to mark items he or she wants to make sure will move, allowing kids to pack and then make visual cues for which items are inside which boxes will help ease worries and fears. Another wise thing to do is mark and label boxes clearly, so your child can find what he or she is looking for easily. For instance, once you arrive at your new home, you want to be able to quickly and easily locate the toy, or DVD your child has to have at that very minute to avoid a meltdown. It’s a good idea to pack your child’s room after all the other rooms. Parents magazine also suggests, “Pack favorite toys and comfort items last. Give kids a choice for what to keep unpacked until the last day.” This will give your child longer access to things that he or she needs to feel less anxious as moving day approaches. In contrast, once you’re in the new house, unpack your child’s room first. The sooner your child’s space feels familiar, the sooner he or she will feel safe and settled. Your priority on moving day is everyone’s safety; therefore, it is important to make a safety plan. For example, consider that many children with ASD tend to wander, and keep this in mind when moving into your new home. Your child will not know his or her new home or neighborhood, which makes the potential for wandering even more dangerous. 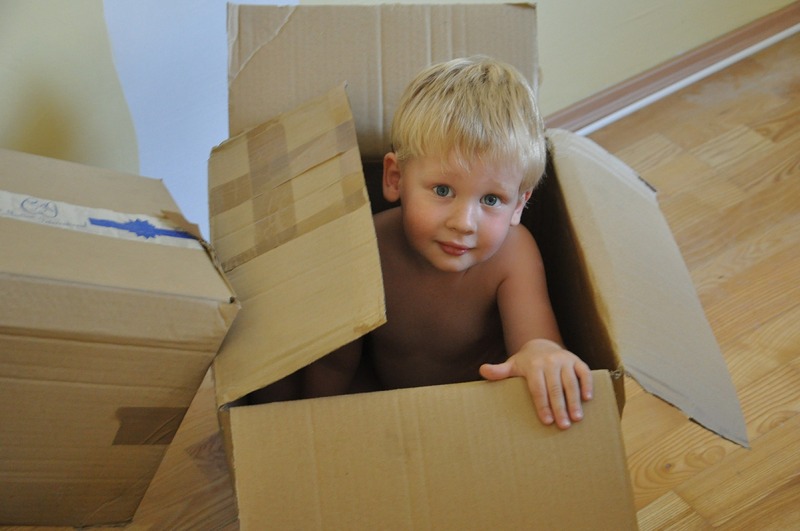 Parents recommends, “If your child with ASD is prone to climbing or wandering, keep in mind the height of stacked boxes and the likelihood of open doors and windows on moving day.” Likewise, you may want to consider having the alarm system installed and functional before you move in. On moving day, let your child help by doing simple tasks. For example, have your child sweep rooms or make notes of which boxes have been packed. Pathfinders for Autism reminds parents, “If your child is sensory-seeking, allow him to help lift and move heavy boxes. For some, this physical pressure helps create a calming sensation.” Ultimately, your child’s involvement in moving day will depend on their age and ability. Alternatively, you could make a plan for your child to be somewhere else. For some individuals with ASD, the chaos of moving day is simply too much. If this is the case, it likely would be better for them not to be involved in the moving process. Have a trusted caretaker keep your child on moving day, instead. You also can collect comfort items like toys, small books, or even electronics in a bag and keep it on hand for whenever your child needs them. In addition to comfort items, you can also add some of your child’s favorite foods to the kit. It is also wise to ask a trusted friend or family member for help on moving day. Whether you are paying movers or relying on help from family and friends to move you in, you will still need an extra set of eyes to help keep an eye on your child. This is especially important for families with a child on the autism spectrum who tends to wander. This helper can watch and entertain your child, and help keep them away from potential hazards and unsettling chaos. Finally, take breaks as needed. Moving day is bound to be stressful, so be sure to give yourself and your family breaks often. Keep in mind that while moving day is challenging for you, it is especially challenging for your family member with ASD. In addition to making sure your home is safe for your child by installing alarm systems and locks, there are other things you must be on the lookout for in your new neighborhood. For example, look for potential safety issues such as high fences, pools, ponds, and other bodies of water. As the Center for Autism Research discusses, “Children with Autism Spectrum Disorder (ASD) sometimes seem particularly drawn to all kinds of water […] Children with ASD may even leave the house looking for water simply because they like it, and, during times of stress, children with ASD may seek out water sources to calm themselves.” If your new home has access to water hazards, see CAR’s Tips for Water Safety. One way to make your child and yourself feel safe in your new home is to observe the neighborhood and identify potential hazards. For instance, walk through the neighborhood with your child, making note of landmarks and safety hazards. Clearly explain the dangers of each potential hazard to your child. Additionally, take time to meet your neighbors and introduce your child. Make your new neighbors aware that your child is on the autism spectrum, and let them know any other pertinent information (such as whether your child has a tendency to wander). Provide your neighbors with your contact information, and tell them what you would like them to do if they see your child in need. Most likely, your neighbors will be willing to look out for your child if they are simply made aware of his or her needs. Parents should anticipate the move being difficult on their child with ASD. Moving means changing their comfortable routines and rearranging all that is familiar. However, as the National Autistic Society explains, “You may not notice behavioral changes immediately, but weeks after the move.” This will vary from one individual to the next. The best thing you as parents can do is be understanding of the fact that moving is not easy for your child — and begin by recognizing the challenges your child will face and try to respond accordingly. For example, try as hard as you can to keep your child’s routine as close to the same as possible. For example, while you are in a new house, look for opportunities to stick to the usual routine such as when and what your child eats. Overstimulation – If your child appears overstimulated, have them take a break and step away from the item or the situation, or have a caregiver take your child elsewhere. Sensory seeking – If your child is sensory seeking, let them lift or push something heavy and use their muscles. Anxiety – If your child seems to be struggling with anxiety, look for ways to reassure them. Make use of the comfort kit you have put together that contains familiar items. You may also want to play a favorite movie or music. Sadness – Try to make the moving process fun for your child and focus on positives. However, it is also important to help your child to identify this feeling of sadness and explain that it is okay to feel sad about moving. Hazards – Look for safety issues in the new neighborhood (such as ponds). Spend time talking to your child about any potential hazards in your new home or community. You must also make sure all adults are aware. To help you handle hazards in your new home, use safety devices such as GPS trackers, alarms, and door locks. In order to help your child safely adjust to your new home and environment, you should consider their personal needs. For instance, if your child with ASD does tend to wander, you should invest in safety products such as door alarm systems that will help you cope with these tendencies. Similarly, Autism Speaks has a Guide to Safety Products and Services that can be useful, especially during a move. For example, the guide lists information about where to purchase wearable identification like arm bands and smart technology apps like ICE4Autism. Once the moving truck has departed and the boxes have been unpacked, it is time to settle in and begin making your new house feel like a home. Since you have a child on the autism spectrum, you will need to anticipate their struggling with aspects of the new house here and there. Therefore, it is important to take a broad view of settling in. Begin by making the surroundings as familiar as possible. Your child most likely struggles with change, as most children with ASD need unchanging routines. Therefore, try to do things in your new house the same way you did in your previous home. For instance, arrange rooms the same way wherever possible. This will feel familiar to your child and will help them settle in sooner. Likewise, you want to return and stick to your routine as much as possible. While things will naturally be different in your new space, there are many things that can stay the same, such as bedtime and mealtime routines. These will help your child cope with the bigger changes taking place. Nothing says home like home-cooked food, so aim to cook your child’s favorite meal soon after moving into your new home. This comforting gesture will be well received by your family in what seems to be a time of disturbance. Parents may want to try to recreate familiar sounds and smells. For instance, if your child is used to sleeping with a sound machine, this tool also should be used in the new home. Or, if your child is used to hearing certain sounds at night that do not exist in your new home, such as street traffic, try a sound machine to recreate those familiar noises. It is wise — and necessary — for parents to give their child time to adjust. Go slow. Recognize that the moving process is overwhelming, and your kid needs to take it one step at a time. This is not the time to give your child more to do; it’s time to lighten the load. For example, although routine is important, this may be a time when you don’t enforce daily chores. Your child may have a hard enough time simply coping with the move without trying to do anything extra. Similarly, you can also help your child settle into your new home by scheduling playdates with new neighbors. This will help both you and your child connect with others in your new home. You will both need community support, and by actively pursuing relationships with others in your new home, you will feel more supported. Additionally, if you can set up playdates with children who will attend the same school as your child, it will make the transition to a new school easier for your child. For many parents, one of the most important “settling in” tasks is finding the perfect babysitter for their child. Whether you’re a working parent or one who just needs help a few times a month, finding a babysitter who is capable of taking care of and loving your child with ASD is important. And you never know when you will need someone in an emergency. Ask your new neighborhood friends for recommendations and check sites like Care.com to find babysitters in your area. No matter where you move, you will need to make connections to survive. As the proverb goes, “It takes a village to raise a child.” As a parent of a child on the autism spectrum, you no doubt have seen the beauty in connecting with others who live similar lives. Finding other parents who are going through what you are going through makes life so much easier. Look for opportunities to build your personal support network. For example, meet your neighbors. Look for fellow parents in your child’s new school to build a connection. If you are moving to a new city or state, consider joining a local meetup such as Moms Club International to help you build a support network for yourself and your child. Meetup groups are great places to find other parents and arrange playdates. When it comes to making connections, you should also look for ways to connect your kid to his or her new community. For example, sign your kid up for a local Scouts program or a sports league. These are great ways to get involved and build relationships. By connecting with other parents, you will have people to ask for recommendations such as the best doctors, hair stylists, and more. These relationships will go a long way in making your new community feel like home. Both you and your child will feel more secure when you know others are looking out for you. The National Autism Association has chapters all across the country. Yellow Pages for Kids is a resource to help parents find educational consultants, psychologists, educational diagnosticians, health care providers, academic therapists, tutors, speech language therapists, occupational therapists, coaches, advocates, and attorneys for children with disabilities, as well as special education schools, learning centers, treatment programs, parent groups, respite care, community centers, grassroots organizations, and government programs for children with disabilities. Autism Speaks publishes listings of autism-friendly events. Join a local Autism Speaks chapter and search for an event in your new location. My Autism Team is an online social network for parents of kids with autism. Search Facebook and other social media using keywords like “Autism support group near me” to find local autism support groups. If your child is school-aged when you move, you will have to also deal with easing the transition to a new school. As a parent, this also means you have some additional work to do. For example, it is important for parents to research schools before the move to make sure the school your child will be attending is capable of meeting your child’s needs. Unfortunately, not all schools offer the same services to students. However, if you are moving to a new state, your child may need to have a new evaluation done. This may need to be done in order to develop a new IEP. This also means there is a possibility you may discover the state does not have the same special education eligibility requirements. Therefore, it is important for parents to keep important documents from their child’s school, counselor, and doctors secure during the move. If your child is transferring schools, it is important to schedule visits to the school and appointments to meet with the school counselor prior to the move. This will help your child anticipate the change and prepare. It will also give the school the opportunity to prepare for a new student and find comparable services. 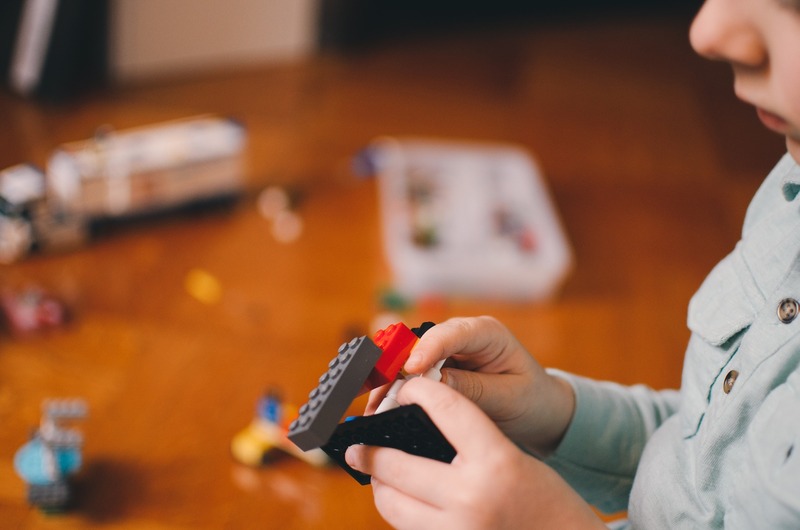 Similarly, the Center for Autism Research provide a great example of a social story about going to a new school that you may find useful in preparing your child with ASD for this additional adjustment. Like the social story that was suggested for the big move, this is a visual tool designed for children with autism to identify the changes to come at a new school. Moving can be overwhelming for anyone, but it is especially challenging to individuals on the autism spectrum who depend on routine and structure. With the right preparation and tools, though, you can help your child cope with the move and embrace the new. As parents look for ways to prepare their child in advance, the child will become more capable of coping with new changes. Using clear explanations and social stories, re-establishing routines, and giving children a sense of control, parents can ease their child’s fears and anxieties. Before long, your new house will be a home with similar routines to your old ones. Give your child time to adjust to this “new normal.” Don’t expect it to be easy, but do expect it to be possible. And, in the midst of the chaos, choose to embrace change bravely and smile in the face of fear. Your child will follow your example.